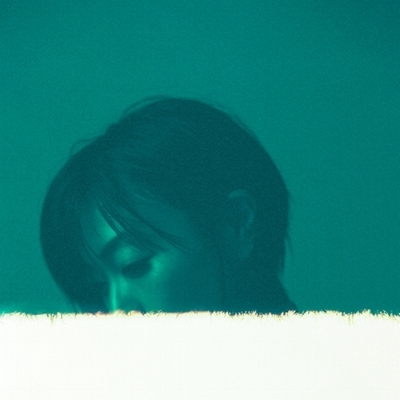 With her 2016 album Fantôme, Hikaru Utada laid out–in very plain terms–the pain and grief associated with the tragic loss of her mother, famed Japanese enka singer Keiko Fuji. Lead track Michi painted a vivid picture of scarred souls and dark horizons; of lonely paths taken and even lonelier roads yet to come. Ningyo transported us to the water's edge, where soft lullabies and visions of mermaids beckoned us to some place forever out of reach. Yet there was no song on Fantôme more poignant or heartbreaking than Manatsu no Tooriame, a ferociously direct five-and-a-half minute eulogy for her late mother. "Unexpected / These memories violently seize me in their hands / And won't let me go"
"I love you / Now, more deeply than ever"
The frankness of these lyrics is something Hikaru herself has acknowledged: In a TV interview back in September 2016, she mentioned that the biggest difference pre-and-post hiatus is the level of reality that has permeated her lyrics. Her 6 year break allowed her to lead a normal life, full of both banal non-adventures and life-altering moments; 6 years of a life lived, all of which found its way into the songs that would eventually become Fantôme. This heavy dose of truthtelling continues with Hikaru's latest works, including her most recent digital release, Anata. Written as the theme song to Takashi Yamazaki's film Destiny: Kamakura Monogatari, Anata is a love song which–by her own admission–is the first song she's written from the point of view as a mother. "This era you were born into / Is full of doubt and despair"
"I want to stay in this room just a little longer / Where the announcement of war's beginning / And the activist's footsteps / Can't be heard"
Over the course of a near 20 year career, never has one of her songs been so steeped in the contemporary realities of our world at large. The uncertainty that we all feel about an unknown future that seems to grow hazier and less assured by the day; a future that must feel particularly precarious for a new mother in the midst of raising a young child. "I have no home to return to / Other than you / Not on heaven or earth / Not anywhere"
"Let's accept this unending pain / And darling, continue on this journey together"
"These rains that will never end, never end / This thirst that will never be healed, never be healed"
A parched earth that cannot be healed even by unending rain: a powerful portrayal of grief and loss and the human condition. But what follows grief is oftentimes acceptance. The acceptance that there will always be a void left by those who have departed us, but that the journey must continue. This determined and life-affirming sentiment is what is at the heart of Anata. A mother and child. Continuing on, together.